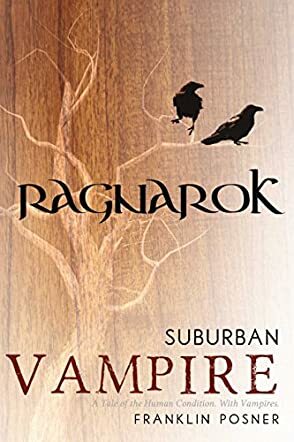 Suburban Vampire Ragnarok by Franklin Posner is a great urban fantasy featuring supernatural creatures and a phenomenal conflict. Scott Campbell is just an ordinary office worker, and that is what most people think. But he is one of the most powerful vampires, perhaps the most powerful there is. While there are problems with the vampire organization, Scott has his own problems, including his attraction to the choir girl, his recent divorce, and a detective who will stop at nothing to ensure she gets Scott. But things escalate when a precious, mysterious box is stolen from him. The quest to relocate the box brings him face to face with supernatural beings with incredible powers and abilities. He will face werewolves, Sasquatches, Black-eyed Kids, Skin-Walkers, an undead Nazi, and a Werewolf God. Does he have what it takes to reclaim something he once thought belonged to him, and how much time is left before he can unravel the mystery of the box? This is a gorgeous treat for fans of urban fantasy and a story that is both atmospheric and well-paced, with a strong level of conflict. I enjoyed Franklin Posner’s characters, especially the vampire Scott. The internal conflict lived by this character gets the reader's emotions rattled. It begins with a point of suspense and raises questions that compel readers to turn the pages and this suspense fills every page of the story. The character buildup is so well done you’ll have to peel off layers from characters to understand their core. The only thing that I found distracting is that the author filled the book with many supernatural characters, but this doesn’t affect the focused writing and exciting setting. The intricacies in the plot lines are complex and the characters are real. Suburban Vampire Ragnarok contains elements of mystery and thriller, a perfect dose of fantasy entertainment.